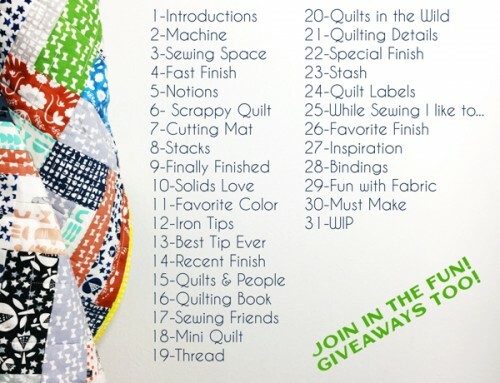 To enter or view the Mini Quilt category keep reading! To visit the main Festival page, click here. To nominate your favorite quilts for a Viewer’s Choice award, click here. I would love to sew with the Baby Lock machine. 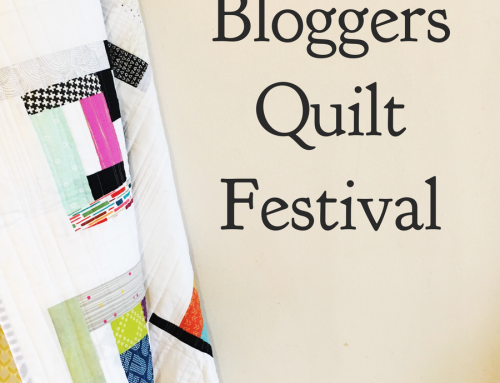 It’s fun to follow the Blogger’s Quilt Festival! Thank you for hosting such a wonderful event! 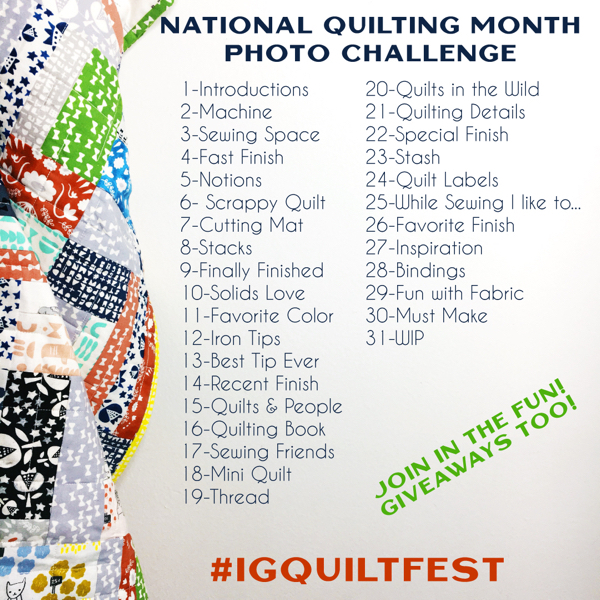 Thank you for the opportunity to know so many talented quilters! Fun group of quilts! very inspiring!! Thanks for hosting this event!! How wonderful! I’m so glad to have found my way here. Looking forward to admiring all the entries. Thanks for hosting this fabulous festival again Amy! Finally in the right category…thanks Amy for putting on this amazing event. Thoroughly enjoyable. I am so happy to participate in the BQF this year! Thank you and thank you sponsors for making it all possible!!! Thank you for hosting this Festival. Am thinking about entering also. Thank you for hosting tis festival. 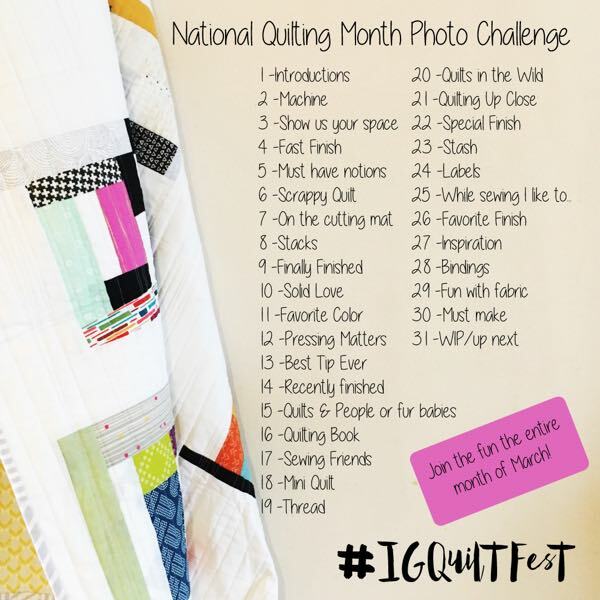 This is a fun way to do a quilt show. 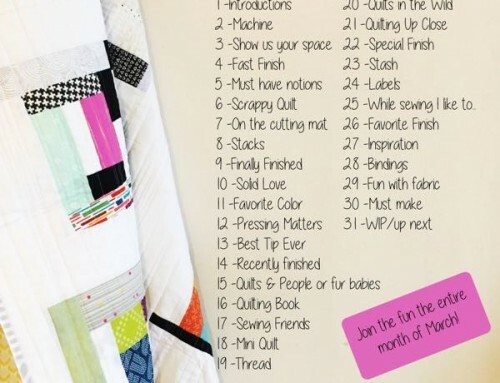 I love that I can click on a quilt and “meet” the quilter. Hi Amy! I just realized that the minis have to be no more than 80 inches around. Mine is 24×24″ so it is a little bigger than the requirement. I think there might be others that are slightly bigger than 80″ around as well, so I don’t know how strictly you are enforcing that limit. I completely understand if you need to delete my entry! Thanks again for hosting! Thanks for hosting another great festival! Amy, thank you so much for organising the festival! I look forward to taking part and visiting all the blogs! Amy, I’ve tried twice to get linked and I can’t see it! Can you please help? Thank you!!!! Sorry, Amy…It seems I am a bit of a luddite! I managed to post it twice…I’ve deleted one. Thank you for hosting another Quilt Festival Amy! This is the first time I have entered a quilt. It is so much fun to see what other quilters are creating. Thanks for all your work and the chance to win! So many gorgeous mini quilts!! Well done everyone! This Festival is so great! I love looking at all the quilts, thanks Amy! These minis are absolutely gorgeous — this is such an inspirational showing of quilts. The quilts are all amazing! I don’t know how I’ll pick just one! I love looking at these beautiful quilts. And finding fabulous new blogs! Thanks Amy! There are some lovely mini quilts! So hard to select just three favorites. What an exciting collection of mini quilts – love how the creativity always gets going in this category. wonderful Well done Esther F.
I’m so enjoying looking at all the quilts in the festival Amy! Thanks again for coordinating! great mini quilts. love the mini quilt craze! Gorgeous, they are all simply gorgeous! I love mini quilts! Sew cute. It’s a treat to see all the entries. 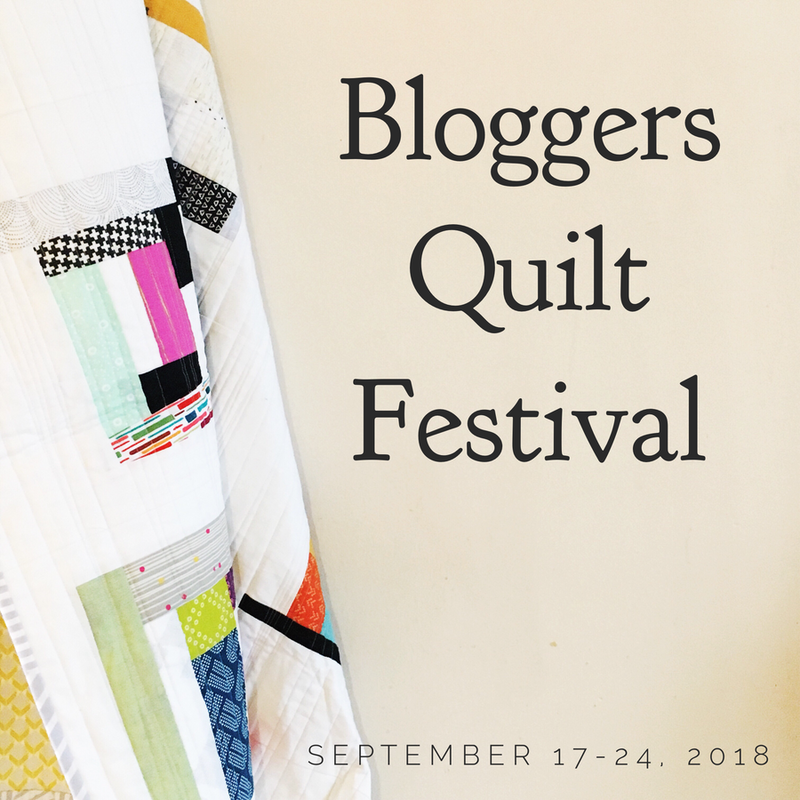 Another fantastic Bloggers Quilt Festival Amy — thank you!